ARDEX Americas is committed to matching the right product with the right installation methods to minimize time, cost and risk at every jobsite. The ARDEX Sales Professional team, the most knowledgeable in the industry, brings directly into the field valuable product know-how and jobsite consultation expertise to architects, building engineers, construction managers, general and specialty contractors, and professional flooring installers. As the leading manufacturer of advanced technology subfloor preparation and concrete restoration products in North America, ARDEX Enineered Cements have long been recognized as the standard by which all flooring preparation and concrete restoration products are evaluated by professional installers, architects, specifiers, and distributors throughout the flooring industry. With ARDEX Engineered Cements, the job is done right the first time....every time! The ARDEX Tile and Stone Installation System is a full line of thin set mortars, tile adhesives, waterfpoofing systems, grouts, and specialty installation materials. 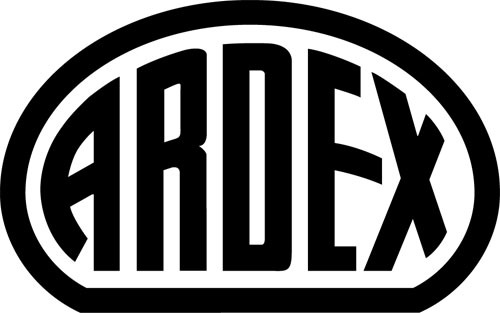 Specifically designed to provide superior performance to the installation professional, ARDEX Tile & Stone Products are formulated to deliver high-quality installation solutions that all ARDEX products are know for. RDEX Tile & Stone Products are available at professional tile and flooring distributors throughout North America.